It is common for us to forget saving some important people's number after they call and later you get used to clear the call history on your Samsung Galaxy S8, which means you will lose the phone call from these important persons. Generally speaking, call logs are located in internal memory of your phone before deleted. And you will be glad to hear that they are still exist in somewhere in the internal storage being invisible. 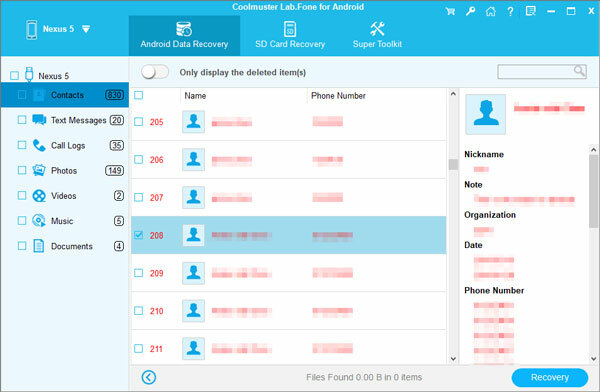 To access the internal storage of Samsung Galaxy S8 to find these deleted and lost call logs, you need to depend on the Samsung data recovery software - Coolmuster Lab.Fone for Android. It is a tool that allows you to recover lost call history, contacts, text messages, photos, videos, music, documents and more from Samsung Galaxy S7, S7 Edge, S6, S5, S4, S3, Note 7, Note 4, Note 3, Galaxy A9/A7/A5, etc.. All the recovered call history will be saved as HTML file on computer. Have a free download of the Coolmuster Lab.Fone for Android and try it out. How to Retrieve Deleted Call History from Samsung Galaxy S8? 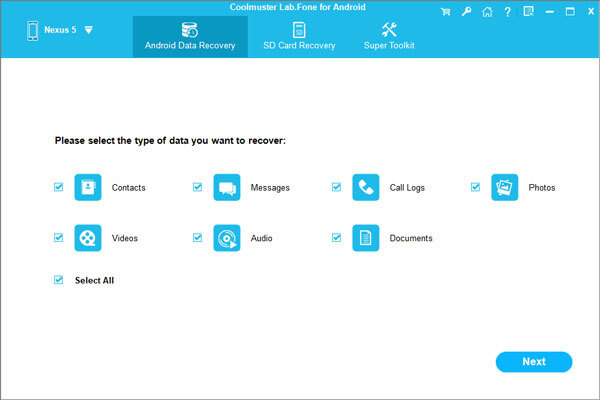 Launch the Samsung Data Recovery software - Lab.Fone for Android on your computer. Connect your Galaxy S8 with the same computer using a USB cable. The software automatically recognizes your S8. Choose the category of "Call Logs" and click "Next" button. Then, the program starts to scan your Samsung Galaxy S8 phone to find all lost and exiting call logs in your S8 internal storage. The lost ones are displayed in red color. Preview and select the call logs you want to recover and directly give a click on the "Recover" button on the bottom right to begin the recovery task. You can specify an output location on your computer to save the recovered call logs.